“The Wheels on the Bus go Round and Round” …. 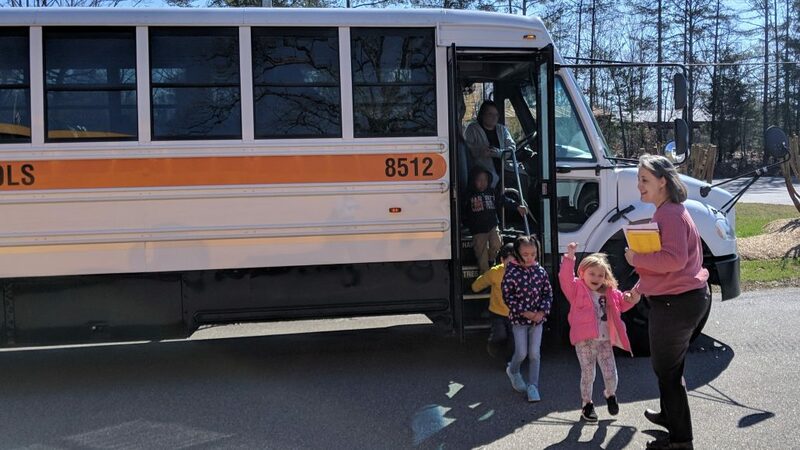 Just ask the NC Pre-K students from Almost Home Child Care who recently rode a school bus to William R. Davie Elementary School for a tour as they prepare to enter kindergarten this fall. For many, it was the first time on a bus and the first time in an elementary school. DavieLEADS (Literacy Empowers All in Davie to Succeed), is a five-year early literacy initiative created through a $2.5 million grant from the Mebane Charitable Foundation to improve kindergarten readiness and third-grade reading proficiency. Through the initiative, collaborative work with NC Pre-K classrooms located in private child care settings has been progressing with the goal of creating educational opportunities equitable to the educational opportunities the students in public school NC Pre-K classrooms receive. While all NC Pre-K classrooms, regardless of location, meet the same state guidelines and provide the same curriculum, students attending NC Pre-K in public school settings get an opportunity to gain familiarity and comfort in the elementary school setting before attending kindergarten. 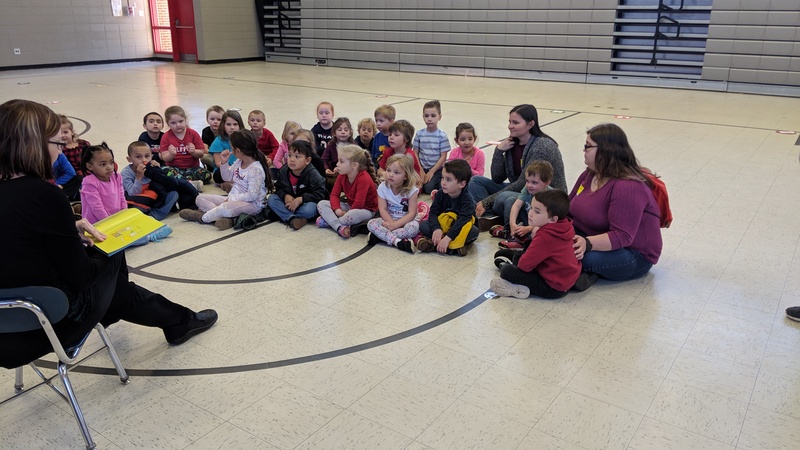 The field trip included a tour of the school conducted by William R. Davie NC Pre-K teachers, Margaret Steele and Alisa Allen, and the opportunity to join their class for a story and a Letterland activity in the gym. The participating NC Pre-K classrooms included Almost Home Child Care, LLC, Kountry Kids Learning Center & Preschool, Mocksville Head Start, Mudpies Child Development Center, and Young Children’s Learning Center. 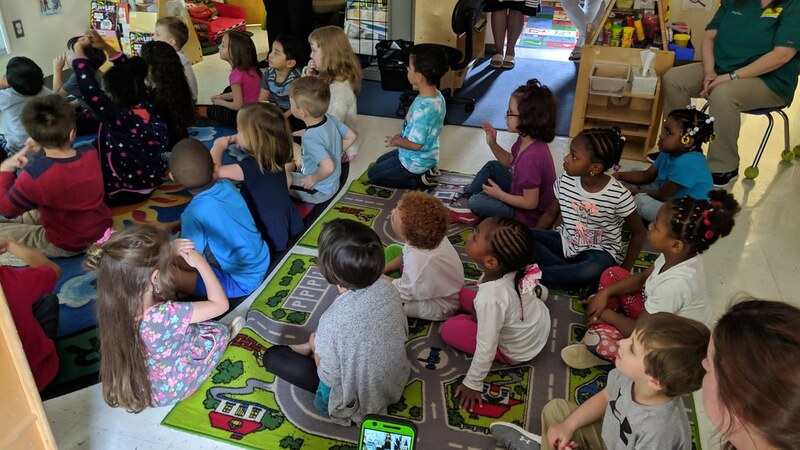 The participating elementary schools and public NC Pre-K classrooms included Cooleemee, Cornatzer, Mocksville, Pinebrook, and William R. Davie Elementary Schools.